Samsung provides the best in class processor and GPU, it is not just a brand which only provides smartphones to check Facebook and WhatsApp messages. It is a gaming machine that can take on anything and everything you throw at it. You will not experience a single lag or frame drops while playing high-end games. To enhance its gaming experience Samsung added a built-in tool to the aming experience for everyone out there. You can find these tools Under the Advanced features –> Games, which consists of two different options, namely Game Launcher and Game Tools. We take up the Game Launcher first. 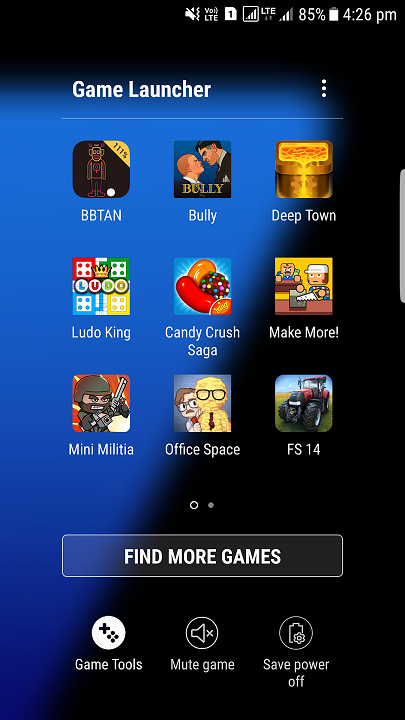 It is a shortcut for all the games that is installed on your device. When you launch the game launcher, it will give you icons of games installed along with suggestions of games that you can install. You can also add games manually, in case it does not get detected by the Game Launcher. The Game Launcher also provides you with the option to select the option to save power. The feature is only advisable to use when you are playing some basic graphics games. As for games like Asphalt 8 and Modern Combat, it’s advisable to stick to the highest setting for the best results. 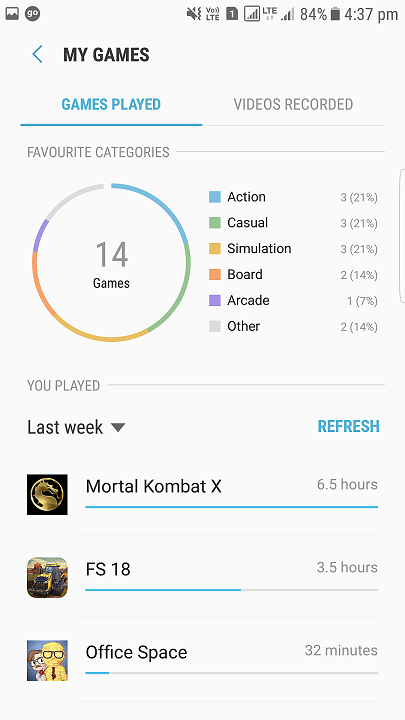 Game Launcher also provides you with the list of games you have played and for how long you played it. With the information about the categories of the games installed. You can also see the games videos that you have captured in the VIDEOS RECORDED section. 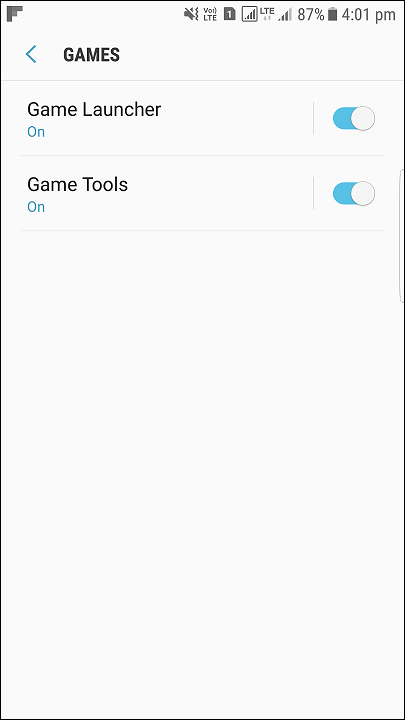 Game Launcher Settings consists of three toggle switches using which you can hide game icons, turn off or turn on the notification from Game Launcher and one can also turn off marketing notification from Game Launcher. 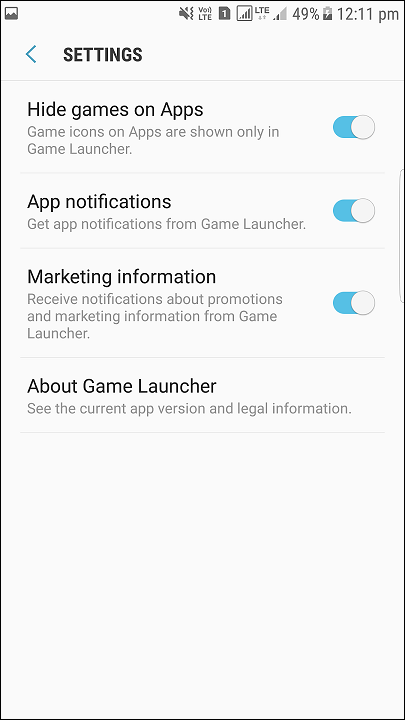 In the settings, you will also find the About Game Launcher button, with a tap it will show general information about the application. When the Game Tools is enabled you will see its floating icon when you start any game. 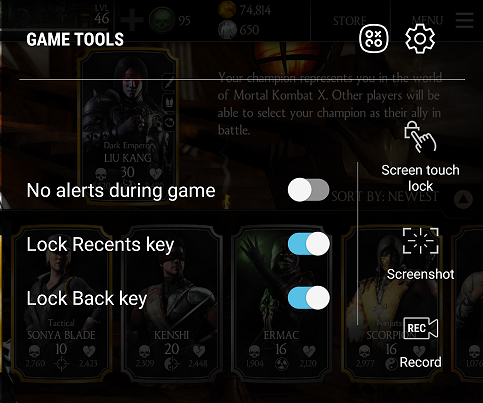 It is by far the best feature included for any gamer and contains different options while playing games. Toggle the notification to OFF and you will no longer get any messages, emails or even phone call. So just be a bit wary before you choose to mute all just to enjoy the game. The main problem that users face while playing games is when they accidentally press on the recent apps and back buttons. On the active mode, it will deactivate the recent apps and the back buttons so that you don’t accidentally minimize the game while playing it. This button will take a screenshot of the game and save it to the gallery. In addition to screenshot, they also have a record feature. 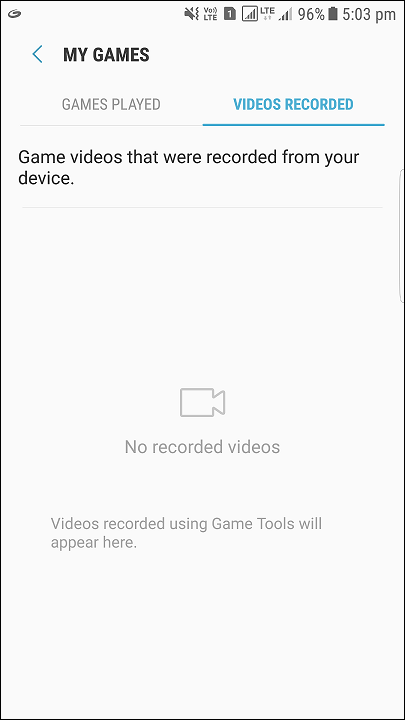 This feature lets you record your game as a video and then saves it to your gallery. The feature not only records the game audio but also records the audio from the microphone, just in case you wish to narrate your expertise and actions of the game. This button will directly lock the screen so that no other buttons are pressed accidentally. 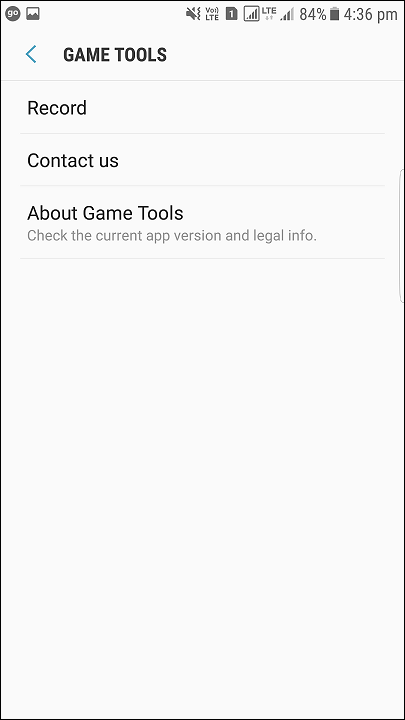 This opens up the Game Tools settings which contain the gameplay records settings, contact us and general information about the Game tools. Samsung Gaming Tools will definitely boost your gaming experience. As a gamer, you will love this integrated app that contains many features which an ardent gamer will always ask for.